Update: We’ve gotten word from Professor Conca that An Unfinished Foundation was released on July 13th, 2015, ahead of the planned release. 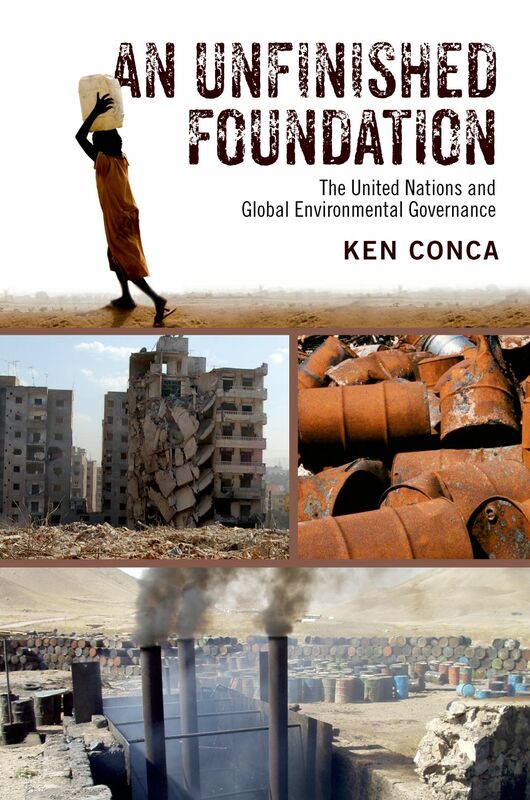 On August 10th, 2015 Global Environmental Politics Professor Ken Conca’s new book, An Unfinished Foundation: The United Nations and Global Environmental Governance, will be released on Oxford University Press in paperback and hardcover (Links to order: paperback and hardcover. The E-book version may already be available; check with your preferred E-book store). A summary of the book’s arguments can be found in an except that Conca shared as a blog post for McGill University’s International Journal of Sustainable Development Law and Policy. Furthermore, read below for the official summary of An Unfinished Foundation, as well as praise for the book.